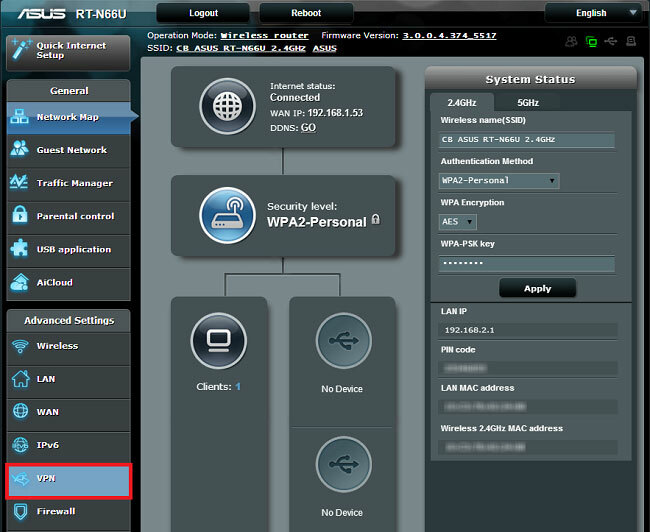 This tutorial will teach you how to set up ExpressVPN on your Asus router, using the PPTP or L2TP protocol. This set up is also compatible with Merlin on Asus. Note: PPTP and L2TP-IPsec provide weak security benefits and should only be used for anonymization or for changing locations. To use ExpressVPN on an Asus router, you are recommended to first use OpenVPN on Asus. Important: This tutorial is only compatible with the following Asus routers: RT-N66U, RT-AC56U, RT-AC66U, RT-AC68U, RT-AC87U, RT-AC5300, RT-AC3200, RT-AC3100, RT-AC1750, RT-AC88U, RT-AC66R, RT-AC55U, RT-N53, RT-N16. If you are unable to connect on your router, please contact the ExpressVPN Support Team for immediate assistance. To set up ExpressVPN manually for your ASUS router, you will first need to obtain your ExpressVPN credentials for the manual configuration. Begin by signing to your ExpressVPN account. 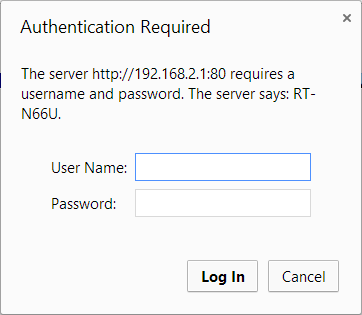 Log in with the username and password you setup for your router account. 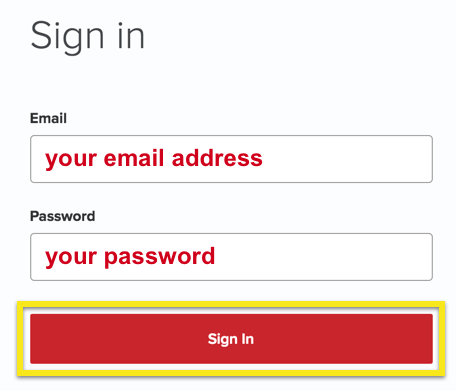 It should be User Name: admin and Password: admin by default (unless you changed it). Select PPTP/L2TP Client tab at the top of the page. 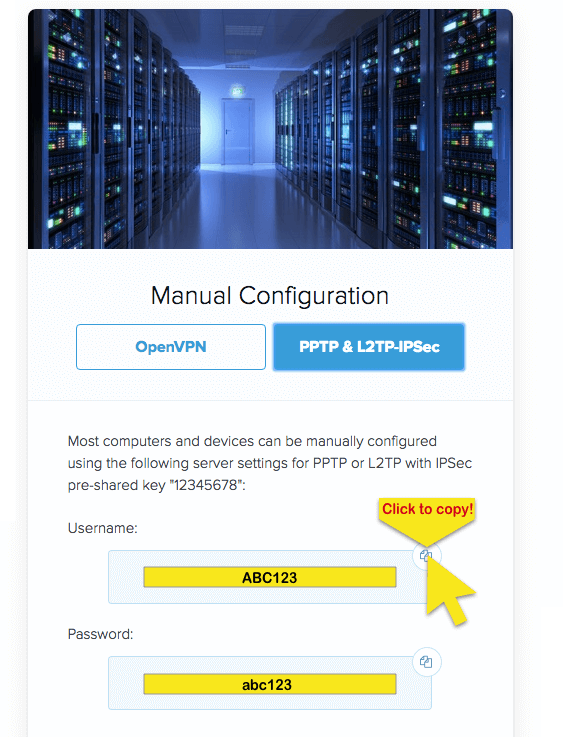 Note: If you want to use a L2TP connection instead, simply select L2TP for WAN Connection Type instead of PPTP. The pre-shared key is 12345678. Congratulations! You should now be connected to the ExpressVPN services. Check your location and IP address to confirm that the VPN connection is working. If you see that the connection status is crossed out, try entering a different server address in your connection profile. To change VPN locations, hit the Edit icon and enter a different address, or deactivate your current connection and create a new connection to activate.